History of creation. 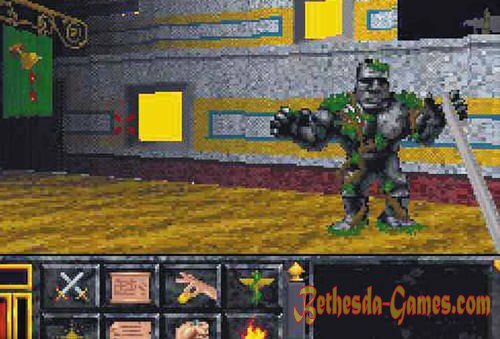 Studio Bethesda Softworks originally specialized in sports games. This game has completely changed the policy developers. 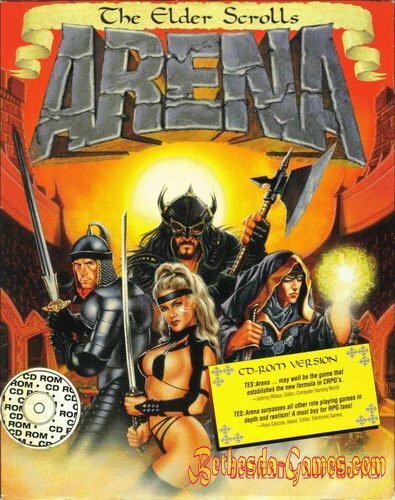 Arena was to be gladiatorial combat simulator. The hero and his team of soldiers had to travel the world, arranging fights with other teams in the arena, while the hero is not got to the Imperial City, and there would not be "a great champion." But the developers felt that the game is something missing, until one day he had an idea that this would have been a great role-playing game. As a result, the fighting receded into the background, the game became to expand, there were no city arenas and new lactation and various caves. In the end, it was decided to simplify the idea of ​​tournaments, and more focus on quests, quests and dungeons. 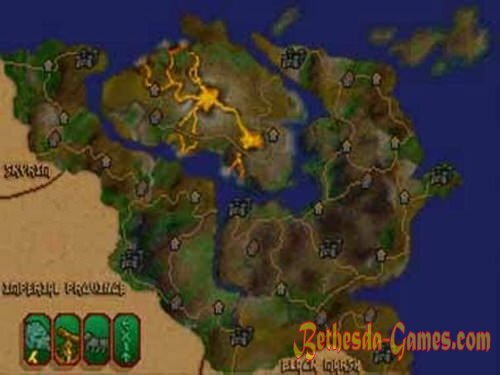 So was published in The Elder Scrolls: Arena - the first RPG, which was the beginning of a large and well-known series of games. Plot. Jagar Tharn was an imperial battle mage, who decided to make a revolution in the empire of Tamriel. He imprisons another dimension of Emperor Uriel Septim VII, while he himself, taking his guise, takes his place. Sorceress Ria Sylvain was approximate Septima, who was killed the evil sorcerer, was in the way of the spirit to the mysterious prisoner sitting in the imperial prison. She asks him to help rescue the Emperor and helps to escape. In order to overcome the magician, he needed an ancient artifact - is the Staff of Chaos. Jagar Tharn staff divided into eight different parts and put them in different parts of the provinces of Tamriel. In search of every part of our hero goes on the road performing other tasks. At the end of the game, the battle with the Tarn in the Imperial City and the liberation of the true emperor. 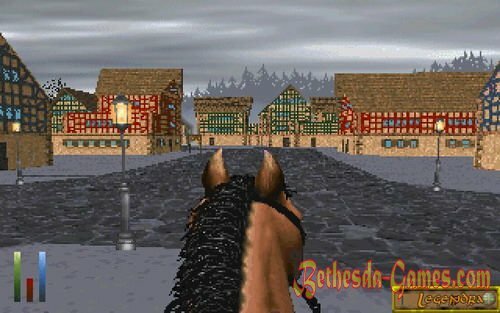 Part of the story is retold in the game book Genuine Barenziah, which also has a games Daggerfall, Morrowind, Oblivion, Skyrim. Gameplay. The game is non-linear. The world is huge, with many cities, dungeons and guild. The game is very difficult to pass with heavy combat system, in subsequent parts it is much simpler. Disease. If you managed to catch one of the many diseases in the game, you have to recover as quickly as possible. Disease, slowly lower your health indicators, such as strength, endurance and health. They are reduced to until something reaches zero. Then the hero dies. There are several options for treatment. The first - is to prepare in advance. You can buy in the Mages Guild couple potions cure diseases, provided that you do not own spells. And if you're a caster so you need to buy or just to create a spell that can cure the disease. You have the opportunity to buy a spell or to create them. If you do not have drugs, and you get sick, you go immediately to the nearest city. You must determine, based on the rate declining over time, if you have enough time to get to the city. In any urban church you can cure. If you do not have near the cities or you are very far from the exit, try to search the dungeon. You may accidentally find a potion in the lair of the beast. Disease are very similar to the curses, the only difference is that it reduces the strength, health and endurance. Curses. They are very similar to the disease, but the only difference is their influence affects intelligence, looks, Will and Luck. As well as in disease, if one of your figures reaches zero, you die. Although attributes decreases slower, but you will impose on you one more curse, the ending can be dire. Curse is also possible to heal him in the temple.